The X-43A is an American unmanned aircraft. A B-52 flies the aircraft into the air. There it will be dropped and the X-43A flies by his own rocket engine(s). At the end another B-52 picks the X-43A on and takes it down. The first test was in november 2004 which was a success. 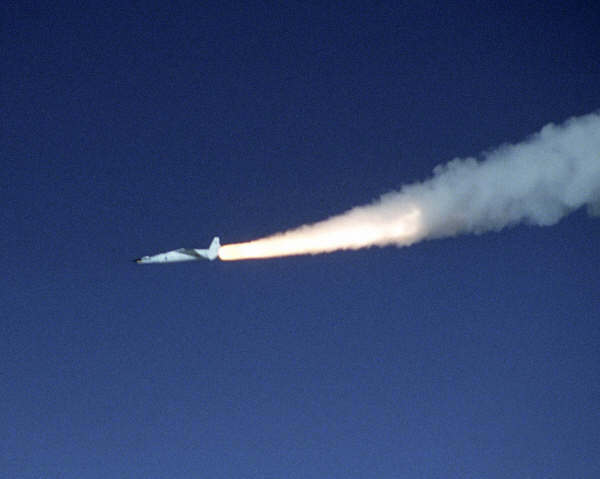 The aircraft made a world record with a maximum speed of more than 10.000Km/h (mach 9.8) which is seen on the photo where a X-43 flies over Edwards AFB.